The original Master Kush was one of the first cannabis hybrids made with two genuine kush strains – hash-producing plants from the vast Hindu Kush mountain range. Master Kush Automatic seeds have the same hash-plant parents, giving growers the same astonishing resin production plus the added advantages of a feminized, autoflowering cannabis seed strain! The Hindu Kush mountains occupy most of Afghanistan and stretch to the borders of Pakistan and northern India. This region is the original birthplace of Cannabis indica - the compact, quick flowering, thick budding, highly resinous branch of the cannabis family tree. All the features associated with indica varieties are a result of centuries of human selection for plants with maximum resin production which could also thrive in high altitudes and extreme weather conditions. The amazing resin content of indica cultivars is why they’re often called hash plants – they’re the main source of the soft black hashish or charas traditionally produced across the Hindu Kush and surrounding regions. The people of India, Nepal, Tibet, Pakistan and Afghanistan produce world-renowned varieties of black hash, mostly from indica (aka ‘Afghanica’ or kush) strains. Master Kush Automatic continues this resinous legacy in a vigorous, compact, feminized seed strain which flowers automatically. Plants flower by age, rather than photoperiod (light hours per day), allowing them to be grown in a very wide range of environments. Master Kush Automatic will grow happily indoors, and is tough enough to grow and flower outdoors in cool northern climates. Its autoflowering ability allows growers with very short summers to time their plants’ blooming phase to coincide with the sunniest months, instead of having flowering begin around September, as is normal for photosensitive plants. 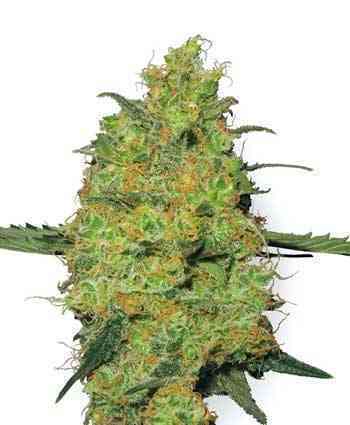 This strain has a fast overall cultivation period, normally in the range of 11 to 13 weeks. Vegetative growth occupies about half of this time, with seedlings gaining height for the first 5 to 6 weeks. When Master Kush Automatic plants have developed their seventh to ninth set of true leaves, flowering begins automatically. Plants stop gaining height and develop solid, resinous buds over the following 6 to 7 weeks. Master Kush Automatic feminized cannabis seeds make it easy for anyone to grow their own medicinal-quality cannabis. This strain needs no encouragement to grow and flower and there’s no need to eliminate male plants when blooming begins. If germinated seedlings are given good soil, sufficient light and regular watering, they’ll do the rest by themselves! Master Kush Automatic produces most of its harvest on its main stem and uppermost branches. Some growers prefer to trim larger lower branches in order to further concentrate flowering on the central part of the plant. 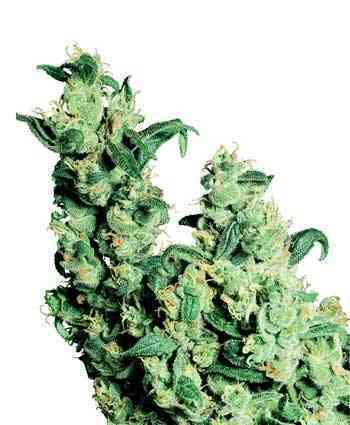 Mature buds are solid, sticky knots clustered around the nodes in true Afghan indica style. The indica-dominant ancestry of this strain means that its buds are made from small, hard calyxes packed tightly together. Because indica buds are less open and expansive than sativa-influenced ones, they tend to be much denser and heavier. This tight structure also means that Master Kush Automatic buds retain a very satisfying proportion of their size and weight when dried. As with many other hash plants, when buds are manicured, their first class resin production will often cause scissors and fingers to become so encrusted with trichomes that regular cleaning is required! This ‘scissor hash’ is essentially charas, collected in a similar way to the genuine article, just on a much smaller scale. Thanks to Master Kush Automatic’s mountainous origins, its flowers (and especially its collected resin) give off that unmistakeable smell of old-school black hash from the Hindu Kush – earthy, sweet and pungent, with a hint of incense. 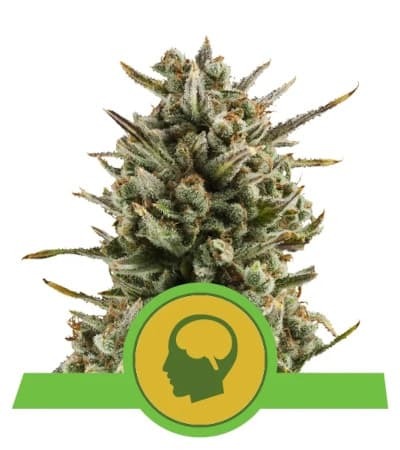 Master Kush Automatic’s resinous flowers have high levels of THC and CBD, imparting a powerful physical buzz and a calm, contemplative mental state, without the mind-numbing ‘stone’ of some high-potency indicas. This strain is equally suitable for recreational and medicinal applications. Master Kush Automatic has all the features which set Afghan indicas apart from the rest. These cannabis seeds grow compact, potent, easily-cultivated plants which can grow almost anywhere. Flowering is automatic and plants rapidly form solid, resin-encrusted buds with the distinctive scent of dark charas hashish! Growers seeking a classic indica hash plant with the advantages of a feminized, autoflowering cannabis seed strain need look no further than Master Kush Automatic!